Fuji film Instax Mini 7S Instant Camera Just $42.99! Down From $70! 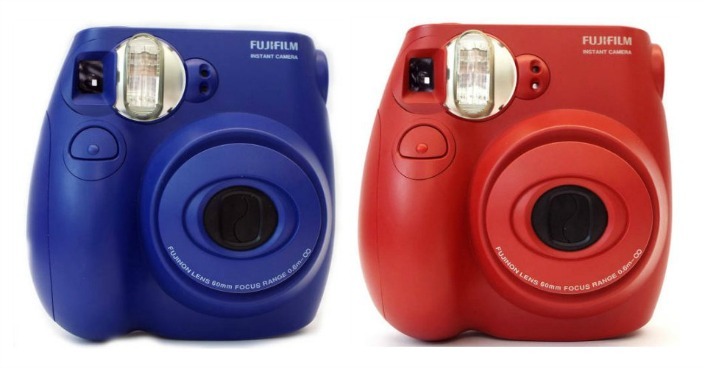 You are here: Home / Great Deals / Fuji film Instax Mini 7S Instant Camera Just $42.99! Down From $70! Right now you can get this Fuji film Instax Mini 7S Instant Camera for just $42.99 (Reg. $70) at Walmart! Capture your favorite moments and enjoy them right away with the Fujifilm Instax Mini 7S Instant Camera. Use it at your next birthday party or family reunion to create memories of the special moments that last a lifetime. It features a 60mm lens with a 1/60 second electronic shutter. It also has an automatic flash and automatic adjustment, so it’s capable of excellent pictures even in low light and nighttime conditions. It compensates for manual exposure so you get high-quality photos every time. The Fujifilm point-and-shoot camera is fun and easy to use. Image size is 2.13″ x 3.4″. The Fujifilm Instax mini film is sold separately, so you can keep taking fabulous pictures of your friends, family and the life’s moments that you want to remember. The unit comes in your choice of red or blue.